I'm feverishly counting down the days until Mortal Kombat X breaks up what should be a relatively light, boring April, but if you look hard enough at the tumbleweeds and some of them turn into actual news. Sort of. 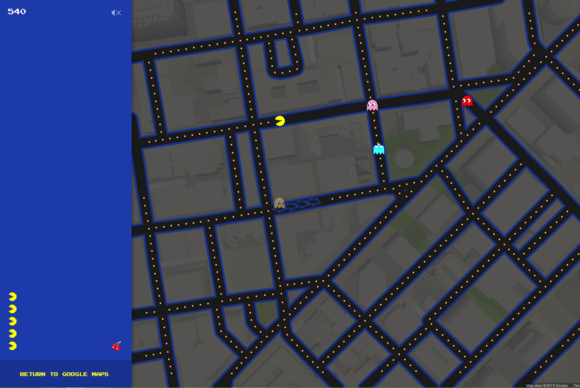 This week, Pac-Man hits Google Maps, goldfish explode, Steam Machines get steamy, and The Fast and the Furious goes 8-bit(ish). It's been a good year for Pac-Man, what with that elaborate Bud Light ad during the Super Bowl and now the ability to play Pac-Man on Google Maps. This is presumably the April Fools' joke for Google Maps this year so you should probably check it out sooner rather than later—there's no telling how long this feature is going to stick around. For now, all you have to do is click on the Pac-Man icon in the bottom left corner. It works pretty well, though the broken-grid of downtown San Francisco presents some awkward control issues. Speaking of April Fools', I'm officially bequeathing ThinkGeek the "Only stupid attempt at corporate humor to make me laugh" award thanks to their Steam Machine concept. "We love Steam so much, we had to be one of the companies who developed our own Steam Machine. But we wanted to make sure that our console was something special—something different," writes ThinkGeek. 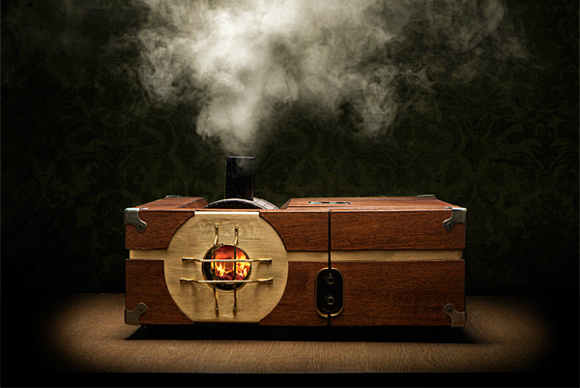 "The Steam-Powered Gaming Cabinet is a Video game console that is literally a steam machine. That is, it is steam powered! Using a patent-pending miniature boiler mechanism, a stationary steam engine produces all the electricity you need to play your games. Of course you’ll need to keep a close eye on the boiler pressure, stoke the fire, grease all internal lubrication points, and properly rectify the output voltage, but isn’t the enjoyment you’ll receive worth it?" After a year and a half of waiting, the PC version of Grand Theft Auto V is almost here. For real. Seriously. Unless they delay it this week. If you just can't wait any longer, you can load up this brand new 60 frames per second PC trailer and pretend you're playing. So uh...Battlefield Hardline is already marked down to $40. And not just on the PC. On consoles too. I don't want to read too much into sales prices, necessarily, but that seems awfully fast for a game of Hardline's size—considering it came out two weeks ago. I wonder how that game's selling. Anecdotally, I can say there have been a lot of empty servers on the PC version this week every time I've gone to play, so...take that as you will. In less-weird-but-still-sort-of-incredible sale news, Dragon Age: Inquisition is down to $30 this week. So that Asteroids-except-it's-DayZ game from Atari is out now in Early Access, though from the sound of the Steam reviews it's...a bit too early access even for early access. I still find the whole idea admittedly baffling. Regardless, Atari is announcing it has plans for all sorts of old properties. "Asteroids is the first of a long series of re-births, and we are considering doing the same for our other iconic games such as Warlords, Adventure, Tempest, Missile Command and many more," said Atari COO Todd Shallbetter in the Asteroids launch press release. Missile Command as a MOBA. Tempest as a platformer. Adventure as an adventure first-person shooter. The possibilities are endless. Did you know last year's amazing puzzler The Talos Principle was made by the same studio that did the shooter series Serious Sam? Yeah, I know. Weird. It's free until April 7, if you're interested. After that it'll be $3. I'm still equal parts exhilarated and despondent after watching Furious 7 last night, so in between playing that it's-mediocre-but-I'll-survive Forza Horizon 2 expansion that released last week I found...this video. 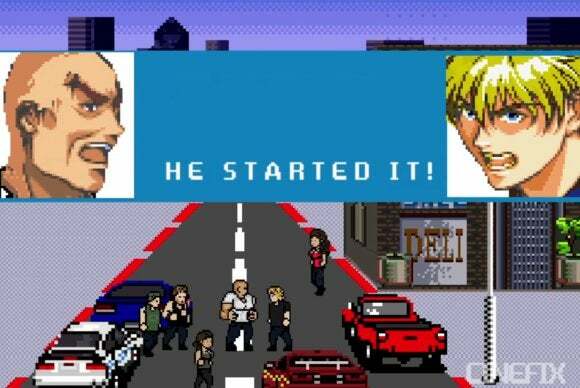 Yes, that's The Fast and the Furious reimagined as an "8-bit" (closer to 16-bit, but who's counting?) racing game, courtesy of CineFix. Let's be honest: It's pretty much just a Fast and the Furious expansion for Rad Racer. And that's fine. And I thought that Atari news was going to be the weirdest use of a classic franchise this week. Wrong. 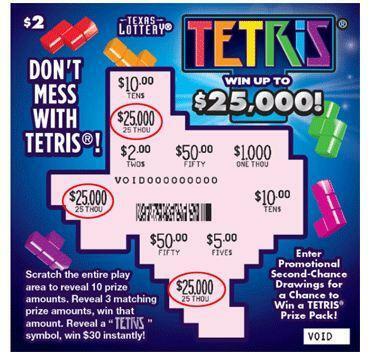 That honor goes to Texas, which—and I swear this is true—launched a "Don't Mess With Tetris" lottery scratch-off this week. Fail to win money and you can still win Tetris-themed merchandise. Thanks (I guess) to GameSpot for alerting me to this. OnLive apparently wasn't dead yet. But it is now! Sony bought the remnants of OnLive this week and will probably mount it on a wall next to Gaikai. Twitch pushed out a fairly substantial mobile update this week. Steam added its first fiction film to the store—and Devolver Digital says there are more in the pipeline. The Dead or Alive 5 port that came to PC is pretty undercooked, according to players. Someone recreated a Mario 64 level in Unity recently and—in a move literally everyone should've seen coming because this is Nintendo we're talking about—it's already received a cease-and-desist. Raptr is evolving once again, now adding Plays.tv to its umbrella. AMD is talking about how much it likes DirectX 12.